At St Joseph’s College Colombo I had a vivid image-memory of the young Carlo Fonseka as an artist who drew together an informal kind of singing club at Bonjean Memorial Hall.The radio was the mass media device during those days and I remember him and his soulmates flock around it to join the singing during “Listeners’ Request.” As a junior who held seniors in awe, I gravitated toward the flock with some trepidation in order to add my humble input into the vocal outpour. Sunil Shantha was the star then. The handsome singer with the sitar in hand. As we now know only too well, the artist in Carlo never left him even though he was soon to turn into a celebrity exponent of scientific thinking. The last-mentioned phase commenced after Carlo Fonseka left school to join the prestigious Medical College in Colombo. He performed brilliantly and joined the academic staff. However, he was not destined to hide within the cloistered walls of esoteric academia. We saw him virtually catapult as a celebrity figure invoking people to use their brains and think for themselves about the evidence of their beliefs. A kind of modern Lankan Socrates who had proclaimed that the unexamined life isn’t worth living. Carlo made an impassioned rebuttal of the claims that the phenomenon of fire walking was evidence of divine intervention. I attended one of his famous fire walking talks and demonstrations. He impressed. Here was an academic messiah come to defend scientific thinking against a widespread flood of superstition. At that stage in his life, Carlo was simply heroic and he represented the intrepid anti-establishment. By his 18th year he had left behind at school his inherited Catholic baggage and he now opened up his fertile mind to the world -at -large encouraging fellow humans to follow suit. From the point of view of traditional superstition one singular attack of this kind can be infectious in the sense that thinking people may begin to wonder if other such claims to divine intervention are also that hollow. Since the days of fire-walking and now, Professor Carlo Fonseka tumbled through life in various extra capacities and roles. Without doubt, Carlo often became a subject of controversy; maybe in different kinds of controversy that thinking men like him do get embroiled in. However, his new release, “Essays of a Lifetime,” redefines himself in his earned role as a scientific thinker. The book is a record of some of the many speeches he had delivered as well as some of his writing. The range covered is wide, including as it does medicine, education, politics, economics, Marxism-Leninism, society, philosophy, religion and Buddhist philosophy. This is a writer who can move flexibly from one topic to another. The image that surfaces throughout the pages is that of sharply reflective mind trying to look at events from the lens of an empiricist who believes in naturalistic explanation of all phenomena. Professor Carlo was reputedly loved at Medical College and during his numerous public lectures as a charismatic teacher. He was very much a ‘public man,’ and he spoke on different subjects at different places. At schools he spoke science and scientific thinking and students would love to listen to him. How well he was able to strike the neural chords of his students. He was invited everywhere because many liked to listen to a man who could put accross a complex subject in simple ways. One can, therefore, hail Professor Carlo Fonseka as being a pioneer in the diffusion of scientific thinking in Sri Lanka along with his erstwhile friend Professor Abraham Kovoor. In this sense, he has played a historic role. Carlo had the knack to explain and to demonstrate in interesting ways and he seemed best positioned to take the batten from Dr E.W Adikaram. In today’s context, to be a kind of Richard Dawkins. In fact the book does carry a eulogy for Richard Dawkins. Says the writer, “No more lucid explainer of the riddles of existence than Dawkins ever breathed.” Being a Dawkins fan myself I loved that. Richard Dawkins is today’s global intellectual star who is on a mission to encourage scientific thinking. Fortune Magazine rates him as one of the world’s top three intellectuals (alongside Umberto Eco and Noam Chomsky). With apologies for generalising I would say that despite decades of free education Sri Lankans are still lazy thinkers; a most gullible lot. Astrologers abound over the TV waves and it is easy to spread a false story. Divine intervention is still widely believed and sought after and clever Kattadiyas make good money. Political leaders are not embarrassed to dash coconuts in order to heap divine curses on enemies. Faith healing missionaries keep audiences spellbound. Schools do teach science but students are not encouraged to think scientifically. Subject content is studied for exams and the scientific thinking habit ends after uploading the textual content at exams. Science is divorced from lives. 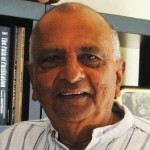 “Essays of a Lifetime,” may be seen as embodying Carlo Fonseka’s long journey in exploring some some contemporary issues of interest with a scientific mind and method. The writing approach, far from being pedantic, is positioned to attract a very broad spectrum of readers. As is clear from the above illustration, observation of occurrences through sense perception lies at the beginning and end of the process of scientific investigation. By observing through our senses (or senses aided by devices) one decides to accept or reject any claims to truth. It is all empirical observation that beckons one in scientific investigation. Our five senses along with reasoning applying on them give us the facts. This is a good answer to the perennially propagated view of religionists that science hasn’t all the answers and that one must look to supernatural sources. Acceptance of such sources on the basis of faith and blind faith is, in fact, a suspension of reason. To be sure, scientific judgments are derived out of inductive reasoning from evidence available and since there is always a possibility that fresh evidence can theoretically upset such judgments no scientific conclusion carries certainty. We assume that the sun will rise every morning; what if it doesn’t one fine day? If contrary evidence emerges then scientists revise their theories. This is the track on which scientists move. That’s how it is.Be that as it may. The attempt in the book to work out a theory of ethics based on the empirical approach, however, is overworked. The effort is to “explore the possibility of deriving universally valid principles of human morality from scientific rationality.” In effect, the author proposes that we base a morality upon an observable fact of nature. To him the observable fact is that, “what humans endeavour to do is to avoid suffering and pursue happiness and maximise happiness on earth.” From this he concludes that “a rational morality would be one calculated to minimise suffering and maximise happiness on earth.” This is functional behaviour and not ethical behaviour. If one believes that one saves money by not having meals and thus avoids taking meals one is behaving functionally ( at least theoretically). The goal of happiness itself has been dominating ethical theory for ages since Aristotle (384-322 BC) but every thinker specified that this happiness is a mere state of mind that is the outcome of a different end, which thus constitutes the ‘moral end’ we look for. To Aristotle it was the pursuit of virtue and thus the real goal of ethical behaviour was virtue-in the way he defined it. Religious people might say that happiness is the union with God or Brahma. One can also be happy by murdering one’s enemies. Is this moral? The important thing, therefore, is to enunciate the kind of moral action through which one might pursue happiness. The long and involved narrative of Socialism,Marxism and Leninism is presented with brevity, intelligibility and simplicity. Once again, the question as to whether Marxism is a science is raised; but here left unanswered- the writer himself wondering whether it matters. Carlo was a card- carrying member of the LSSP and his theoretical Marxist leanings have not left him. He believes in the idealism of the socialist state and thinks that the massive collapse of the first experiment in trying out such a state (The Soviet Union) was just one instance of experimental failure that isn’t enough to dislodge it. The example of the Scottish scientific researchers who cloned the sheep Dolly is cited. It took researchers 277 experiments before that succeeded. Unfortunately, socio-political “experiments” with men and women cannot be done and redone in laboratory style and one has to spend time in serious analysis before a decision is made. It may still be argued that Marxism was flawed to begin with. For instance, it has been widely criticised that a socialist community runs counter to a human nature, which is essentially selfish. Remember Dawkins’ ‘selfish gene?’ That the Soviet state took over private property on “behalf of the community’ was partly because of the impracticality of a social community collectively taking it over and running it. The Soviet system ended up in a behemoth of a hopelessly non-incentive and inefficient fascist bureaucracy. On the other hand, the strength of the capitalist system is that it is incentive -driven leading to economic growth. Marx saw the exploitive nature of a capitalism of the old crude kind. Capitalism has, since the days of Marx and Lenin, proved its resilience in meeting challenges to minimise exploitation and extend welfare. The born Catholic that he was, Carlo has obviously been attracted by the empiricism and modernity in Buddhism. “Of all great religions,” says the writer,”Buddhism has been the least vulnerable to the intellectual onslaught of science.” The question taken up for discussion is whether Buddhism is empiricist. However, in the relevant chapter the writer is content to state the different points of scholars. It is a good summary of the debate that leaves the field open for interpretation. 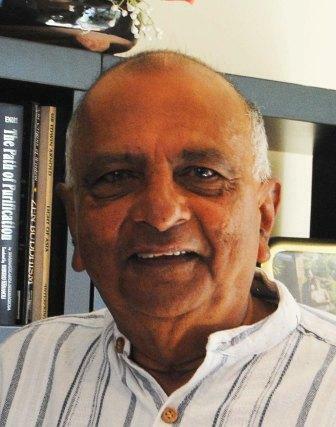 Professor KN Jayatilleka did an exhaustive study of the issue and came to the conclusion that Early Buddhism was definitely empiricist but with two exceptions. First, ‘sense perception’ in his case included extrasensory perception like telepathy and clairvoyance. Second, there is the ‘nirvanic’ experience, which is definitely trans-empirical. KN Jayatilleka’s view was that, ‘the other doctrines ,including karma and rebirth, are inductive inferences based on perception. On the other hand, the evidence for perception-based beliefs about rebirth are hard to come by Jayatilleka relies on hypnotism but there are issues with regard to realising objectivity in hypnotic experiments. For instance, to what extent has the hypnotiser influenced the judgments of the subject? The discussion of the Kalama Sutta is invigorating. Sakyamuni Buddha’s scientific disposition is very clearly and almost drastically reflected in this Sutta where he warns us about being cautious of the sources of our beliefs. 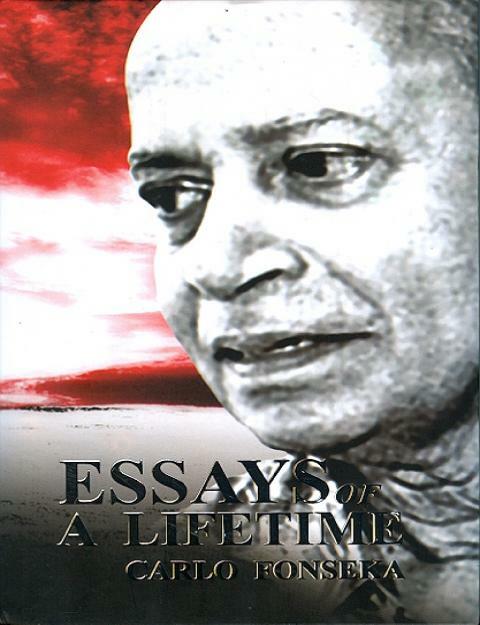 “Essays of A Lifetime,” is a good volume of discussion on important contemporary issues expressed in a very readable and interesting manner by Professor Carlo Fonseka. There are a few brief chapters thrown in at the end that really need not have been inserted. However, that does not diminish the value of this enlightening work by a scholar dedicated to instructing others in scientific thinking.